She Writes Press, 9781631523458, 304pp. 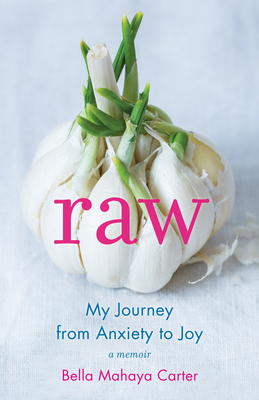 Raw is the story of one woman's quest for health and happiness, which dragged her kicking and screaming into spiritual adulthood. Anxiety and a desire to heal it holistically--even before she knew what it was--is at the heart of this story, which reveals Carter's struggles to face her fears, release perfectionism, surrender things beyond her control, and find validation within for her life and work. The book is divided into three sections--body, mind, and spirit--and it begins with Carter's efforts to holistically cure chronic stomach problems. Toward that end, she adopted a 100 percent raw, vegan diet, which eased her symptoms and produced impressive, unexpected perks, but didn't completely heal her. She then looked to her mind for answers and discovered that unconscious negative thoughts combined with a stressful, hectic-paced life sabotaged her well-being. Finally, a few mystical experiences brought her "home" to a visceral understanding of who she really is.